Firsthand stories from people and their families as they talk about their experiences and outcomes with Independent Facilitation. A chance to get up to speed as the family coalition shares ‘who they are’ and find out how you can join their grassroots movement. An update from OIFN around the key learnings from the Independent Facilitation Demonstration Project in Ontario. Followed by a live Q&A for a chance to ask questions and share comments with our three panelists: Brain Tardiff, Chair of the Ontario Independent Facilitation Network; Susan Beayni, mother and Independent Facilitator; and P4P Host Anna Bruno. 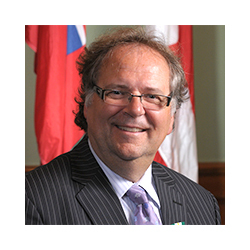 Brian Tardif was the Executive Director of Citizen Advocacy Ottawa (CAO) from 1985 to 2018, a non-profit organization that supports and advocates for people living with a disability and their families. Under Mr. Tardif’s leadership, CAO grew from a staff of four to 30, to offer a wide range of programs, events and services across Eastern Ontario helping more than 1,400 people monthly. CAO has introduced a number of family support programs including Walking in My Shoes, Lifetime Networks, the Fetal Alcohol Resource Program, a sibling support program and Independent Facilitation. Mr. Tardif also served the community as a volunteer contributor to a number of civic groups including the Ottawa Developmental Services Network, the Ottawa Transportation Committee and Ottawa Hospital Rehabilitation Advisory Committee. He was instrumental in inaugurating the Celebration of People awards banquet hosted by CAO and other community agencies, now in its 17th year. Mr. Tardif was recognized as the United Way’s Community Builder in 2010 and was awarded the Ontario Good Citizenship Award and the Queen’s Jubilee Medal in 2015. Mr. Tardif will soon receive The Order of Ottawa for 2018. Susan has been a leader and advocate in the disability movement for over 25 years. As a co-founder of Plan Toronto (now P4P) Susan has guided a large number of individuals and their families in developing support networks and planning strategies to create safe and secure futures for their loved ones with vulnerabilities. In addition, Susan’s long time work with the Bloorview Children’s Centre has given her wide-ranging experience in consulting with families and children with disabilities. Susan is the mother of 33-year old Rebecca, who has had a support circle for over 20 years, as well as person-directed planning sessions numerous times throughout her life. 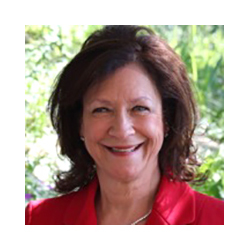 Susan is a regular contributor on P4P webcasts. Susan holds a Bachelor of Education from the University of Toronto. Anna has worked with families and their children living with varying abilities for over 10 years in a variety of capacities. Anna worked as a Social Worker at Grandview Children Centre for eight years providing advocacy, counselling, parent and youth education, and assistance with navigating services. 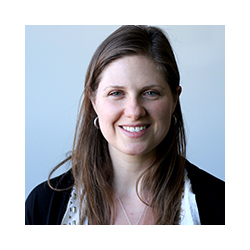 She is committed to ongoing learning and a reflective, collaborative approach to her work. Anna belongs to the circles of support of several individuals; offering her own time has allowed her to gain much insight and deep knowledge of how circles function while supporting individuals towards achieving a good life rooted in community.